Shaun originated from a farming background on the West Coast of South Australia. He joined Letcher Moroney in 1991 and became partner in 1999. Shaun is a member of the Chartered Accountants Australia and New Zealand and a Chartered Tax Adviser with the Tax Institute. His areas of interest and expertise include providing a broad range of business taxation and advisory to small and medium size businesses Australia wide, primary production and succession planning, professional services and building and construction. Dion was originally from a farm background on the West Coast. He joined Letcher Moroney in 1998 and became a partner in 2001. Dion is a member of the Chartered Accountants Australia and New Zealand and a Chartered Tax Adviser with the Tax Institute. His areas of interest and expertise include business advisory services, hospitality, primary production, estate and business succession planning and property development. 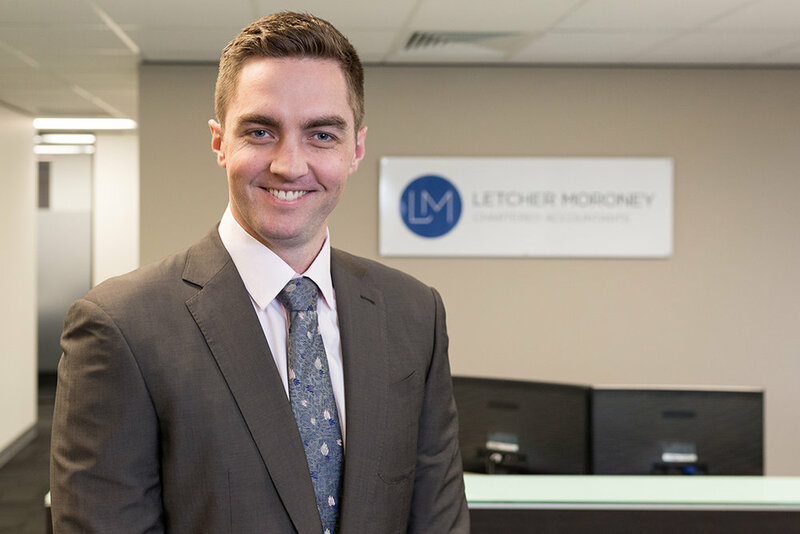 Andrew joined Letcher Moroney in 2008 as a partner having previously been a partner in a 2nd Tier firm since 2000. Andrew is a member of the Chartered Accountants Australia and New Zealand and a Chartered Tax Adviser with the Tax Institute. He has been assisting clients for more than two decades in the areas of tax and business advisory including restructuring, business valuations, franchises, sale of businesses and business startup. Andrew consults to a wide range of industries including professional services, building and construction, wholesalers, primary production, logistics and professional investors. He has held numerous community board positions including Norwood Football Club and East Torrens Kensington Gardens Tennis Club, as well as supporting numerous charitable causes over the years. Adrian grew up on a farm near Jamestown in South Australia’s mid north before moving to Adelaide to attend University. He commenced working in public practice in 2000 and joined Letcher Moroney in 2008, becoming a partner in 2009. Adrian is a member of the Chartered Accountants Australia and New Zealand, a Chartered Tax Adviser with the Tax Institute, and has completed his graduate Diploma of Financial Planning. Adrian provides a broad range of tax and business advisory services, with his areas of expertise including business structuring, estate and succession planning, GST, capital gains tax, superannuation and specialist taxation advice. Tom is originally from the Clare Valley of South Australia, he moved to Adelaide to attend boarding school and pursue further study and joined Letcher Moroney in 2009 becoming a Director in 2014. Tom is a member of the Chartered Accountants Australia and New Zealand, a Chartered Tax Adviser with the Tax Institute and has completed his graduate Diploma of Financial Planning. Tom specialises in providing a broad range of tax and business advisory services to small and medium size businesses in both our Adelaide and Alice Springs offices. Tara is a Chartered Accountant and a member of the Taxation Institute of Australia. Tara grew up on the West Coast of South Australia before moving to Adelaide to pursue University and a career in Accounting. Tara and her husband returned to the West Coast in 2006 and joined Letcher Moroney in 2012, becoming a Director in 2016. With her farming background and close ties with the West Coast, Tara has a passion for rural and farming business. Her areas of expertise include Business Taxation, Primary Production, Succession Planning, Superannuation, Self Managed Super Funds and Business Structuring. The Hurley Hotel Group owns and operates 10 hotels in South Australia, along with other substantial investments. In 2010 we were seeking a new external accountant and tax advisor and made the decision to appoint Letcher Moroney. Our company engages Letcher Moroney for quarterly management accounts, end of year compliance work and general tax and business advice.